“The video highlights the major plot points, characters, and themes used in this cornerstone of modern literature,” says Jack Collins. It is enjoyable and with outstanding illustrations that keeps you watching it. 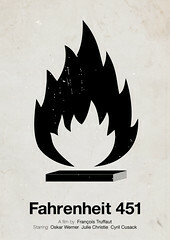 To watch the video, please visit this link, http://academicearth.org/electives/tldr-fahrenheit-451/, since I had problems posting it here. Hope you enjoy it and thanks to Jack Collins for sharing it.